NEW PRODUCT – 5V 10A switching power supply « Adafruit Industries – Makers, hackers, artists, designers and engineers! The output connects to a 2.5mm DC plug but its a ‘springy’ type so you can use it in 2.1mm jacks as well. There’s a green LED indicator lamp as well. These will be great for people who want to power 5V LED strips or a lot of motors for a CNC project. Using a separate supply like this can be easier than trying to modify an ATX power supply as its smaller, quieter and has a plug on it ready to go! Sweet! Any idea if it puts noise on the AC line? I have a 7.5V/3A MeanWell that unfortunately messes up my powerline networking. Morbidly curious – what sort of abuse can these things take? 50W is enough to melt wires ‘n start fires. Does it gracefully shut down in faced with probe slips or wiring errors? 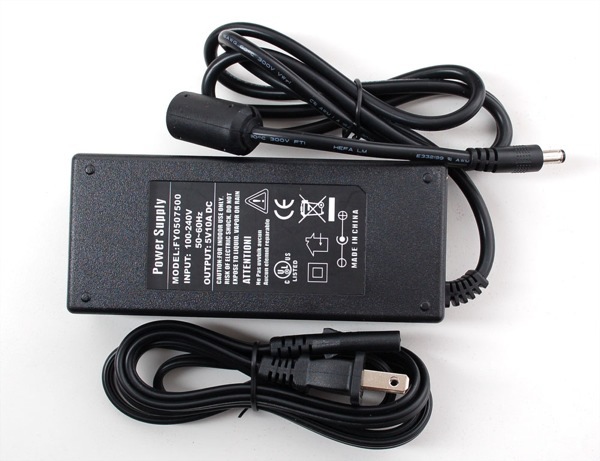 @Peterson – this power supply company makes good quality adapters & it is fused inside but of course, be careful when dealing with 50W! Awesome! Next: Do you have a mating jack for this that is actually rated for 10 A?